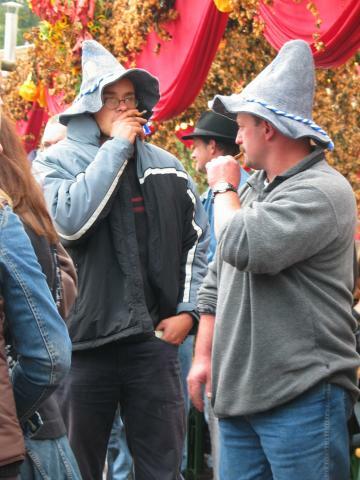 Revelers at Oktoberfest. I have no proof, but these guys look like American college students to me. I base the conclusion on the cheap souvenir hats, the general manner of dress, and the way they are smoking cigars as if it's not an accustomed thing.